Talking to your kids about the dangers of underage drinking doesn’t have to be a big production. In fact, having lots of little conversations can be one of the most effective ways to educate your children and open the lines of communication for the future. This page can be a key tool every step of the way — from thinking about what to say and how to say it, to keeping the conversation going as your kids get older. Where Do I Start? What Can I Say? What Can I Do? Why Does This Matter? Know the real story about underage drinking, so you’ll always be ready to answer questions, or have a conversation: Facing the Facts. Study up on Conversation Starters that can help you take advantage of everyday situations. 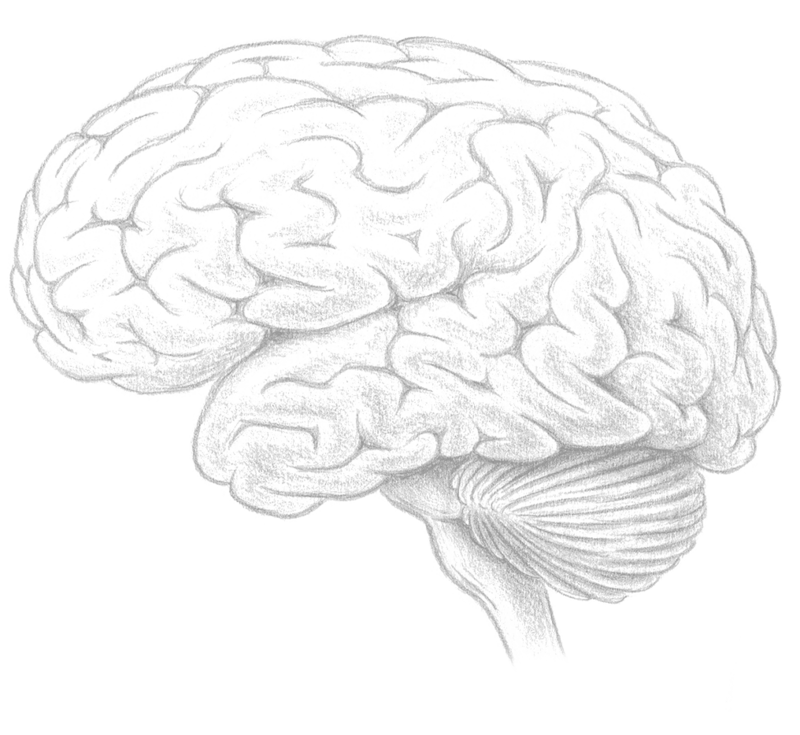 Take a look at our Alcohol & The Teenage Brain page to learn about the short- and long-term consequences of alcohol on the developing brain. Start having conversations with your children well before you think they’ll be directly exposed to alcohol — preferably age 8. Explain the real risks of underage drinking in age-appropriate language, and ask questions to make sure your children understand. Emphasize from an early age that alcohol is dangerous for a developing brain, and negatively impacts children’s mental, emotional, and physical health. Once is not enough — reinforcement is crucial, and the conversation should change as your children get older. Have lots of little talks — it takes the pressure off trying to get all the information out at once, and your children will be less likely to tune you out. Use everyday situations — meals, driving in the car, doing chores — to start open, honest conversations about drinking. The more it becomes a regular topic, the more natural it will be. Just telling children to say no to alcohol or “wait until you’re older” isn’t good enough. Give them the information they need to understand why underage drinking (not just drinking and driving) is unhealthy and dangerous. Ask, rather than tell. A two-sided conversation allows you to get your point across, while empowering your children to be a part of the solution. Brainstorm and practice ways to say no. Reinforce that the best way to prevent underage drinking is to avoid places where alcohol is present. Ask your children for a personal commitment to live by the rules and continue to discuss them regularly. Who are you going to be with? Dive into these additional resources to get even more informed about underage drinking — and ways to talk about it with your kids. Help your kids learn more. These two fact-filled resources are targeted directly at children and teens — with tools, information and role-playing scenarios they can explore on their own. Talk honestly about the dangers of underage drinking, and establish clear rules about not drinking alcohol while underage. Emphasize that drinking or buying alcohol before age 21 is illegal. Keep important goals in mind. Be a good source of information about alcohol. Help your children gain the confidence and knowledge to withstand peer pressure. Explaining choices and consequences will help them take responsibility for their decisions. Show your children you disapprove of underage drinking, but still love them. Show you’re paying attention and you’ll notice if your children drink. Most important, establish trust — so they know they can come to you if they’re in a difficult situation. Go deep into the brain. Excessive drinking has short-term consequences such as risky behavior, blackouts and accidents, and problems with memory and learning. Because of their unique response to alcohol, particularly a much less pronounced “sedative” response than in adults, adolescents are prone to binge drinking. Binge drinking has long-term consequences that can persist into adulthood, even if drinking stops. These include changes in key brain systems and behaviors that affect health. Preventing underage drinking in the first place is the only way to make sure the brain is protected. See the Understanding The Brain page to learn more. But what if I did it? But this is one area where times really have changed. New research shows that teens today begin drinking at earlier ages and drink more at a sitting — putting them at far greater risk for addiction and brain damage. All parents need to set firm no-alcohol boundaries. What if my child is already drinking? your child quit. And there are other resources available as well — from a tool for finding treatment in your area to a list of substance abuse service providers throughout North Carolina. Find out more about Getting Help. For immediate assistance, call SAMHSA’s National 24 Hour Helpline: 1-800-662-HELP (4357). of underage drinking. It includes a breakdown on myths and facts, warning signs to watch for, handbooks for parents and booklets for teens. Did you know there’s a day set aside every year for parents and kids to have conversations about alcohol? Visit MADD’s page for details. Spend time with your children — at meals, at home, outside; the location isn’t as important as the interaction. Children are less likely to drink when their parents are involved in their lives and when children and parents feel close to each other. Eat together. Teens who regularly eat as a family at least five times per week are 33% less likely to use alcohol. Make it easy for your children to share information with you. Take time every day to talk with them about their interests and activities; try to spend at least 15 minutes a day of one-on-one time. Create a positive, loving home environment; be kind and respectful of each other. 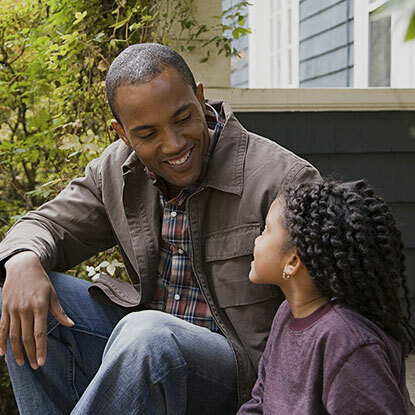 Talking often helps build an open relationship with your child. Talking with your child is a sign that you care. You are the best source for information — not the Internet or their friends. Be involved with your children’s education. Kids who make an effort to get good grades and are involved in school activities are far less likely to drink. Help your children become involved in worthwhile activities. Children need fun. Help provide safe, enjoyable, “no-alcohol” outlets for your kids and their friends. Help your children choose friends wisely. Peers who drink are the single greatest risk factor for underage alcohol use. Encourage your kids to choose friends who support your family’s values and no-alcohol rules. Get to know your kids’ friends and their parents. Offering friends a ride to the mall gives you a chance to get to know them. Discuss your no-alcohol policy with your kids’ friends and their parents. Enlist their support to help keep your kids in an alcohol-free environment. Know where your children are, who they’re with, what they’re doing. Pay attention to their emotional state. Monitor your children’s activities. Teen brains aren’t fully wired for impulse control, so parents have to provide reinforcement. And at some level, most kids appreciate parental monitoring — it’s very real proof that their parents love them enough to care about their well-being. Watch for signs of excess stress or depression. Be extra vigilant during times of transition — switching schools, moving, going through a divorce. These can all lead to underage drinking. Help children cope in healthy ways: music, exercise, talking with a counselor, friend or doctor. Check on your kids when you’re not around — make a phone call, send a text, have a neighbor stop by. Drop in occasionally, unannounced. They may roll their eyes and seem embarrassed at your presence, but the random surprise visit lets your children know you could stop by at any time. It’s not about lack of trust; it’s about ensuring their safety. Make sure alcohol isn’t available to your children at home or from friends, via siblings or at parties. If they go to a friend’s house, call to make sure parents will be home and there will be no alcohol. It’s not just what you say — it’s what you do. If you drink, you can positively influence your children by drinking in moderation. Never drive when you’ve been drinking. Be aware of where you keep your alcohol, lock it up if possible, and make sure your children know that any alcohol in your house is off limits. You are not alone; every parent is dealing with these same issues, and every parent wants to keep their children from making poor decisions. It’s okay to talk about it and share the challenges you’re facing. There’s safety in numbers; work together with other parents to reinforce the rules and share this website with them. If you know your child’s friends are drinking, tell their parents. The risks of not saying anything are too high, for their children and yours. If you have ideas on ways to start effective conversations, or tips on what’s worked with your children, add your voice here on the website, on Facebook or on Twitter. It’s not “if” kids will make choices about alcohol, but "when." 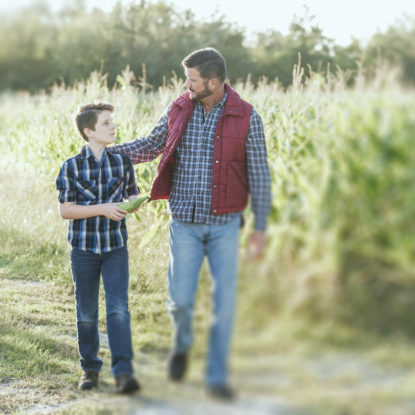 As with everything children face as they grow up, we as parents want to shield them from bad things and difficult situations — and underage drinking definitely falls into both categories. But the most important thing we can do is equip children with the information and good sense to make appropriate decisions when we’re not around. A lot of little conversations go a really long way. Short, frequent discussions can have a real impact on your child’s decisions about alcohol. 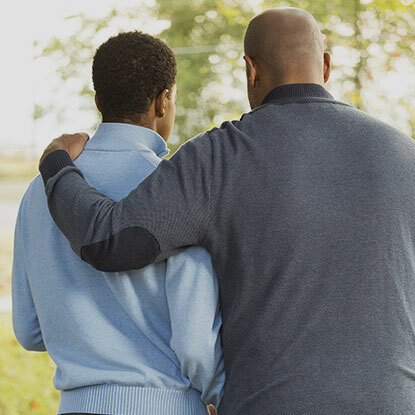 Kids can be vulnerable to making bad choices during certain times of the year (prom, summer break), or because of academic stress, family circumstances, etc. You can put your power to good use. The more you talk, the easier it gets, and the stronger your bond becomes. 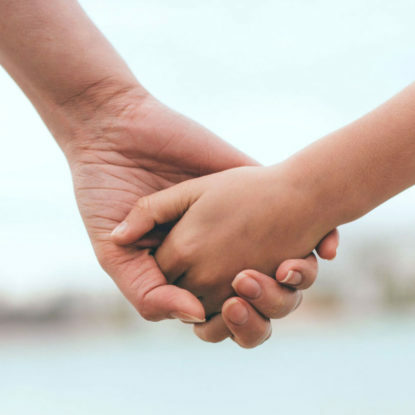 There’s simply no substitute for a parent’s ability to shape children’s behavior — to keep them alcohol-free, with a healthy, fully functioning brain, and able to make the right choices when they face tough decisions. Having conversations does not plant a bad seed encouraging kids to use; it helps kids make good decisions.